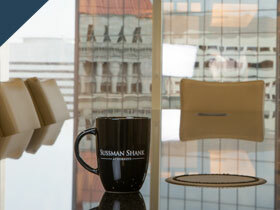 In 2010, Sussman Shank proudly celebrated 50 years of commitment and service to our community. The firm was established in 1960 as a small business firm by Gilbert Sussman and his brother, Maurice. Gilbert Sussman began what has become our long history as a successful business, litigation, and bankruptcy firm. 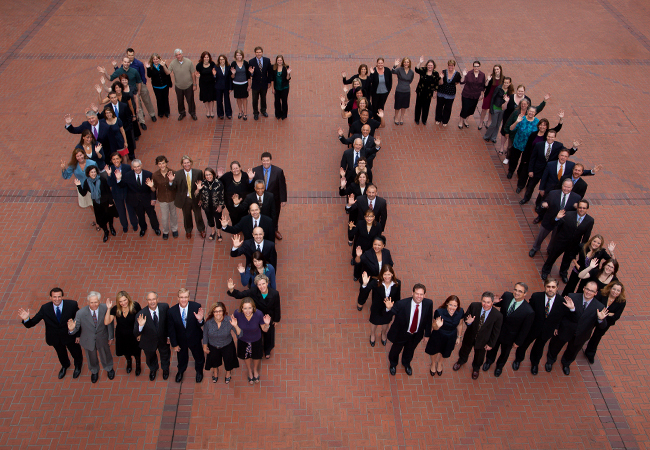 Through the years the firm has grown to over 30 attorneys and 12 different practice groups. Our success can be attributed to the foundation Gilbert set with his “Simple Truths.” Our dedicated attorneys and staff continue to follow these truths conducting business with consideration, honesty, and integrity. To mark our 50th anniversary, we honored our founders and community by celebrating with our “Giving Back to the Community” campaign. We partnered with the Oregon Food Bank, Loaves & Fishes, the American Lung Association of Oregon, EarthShare of Oregon, and SchoolHouse Supplies. The campaign included volunteer or service-type projects where everyone at the firm had the opportunity to contribute his or her time, talent, or treasure in a diverse range of activities. "We wanted this to be more than just a simple celebration or a cash donation made by the firm," said Robert Carlton, Managing Partner of Sussman Shank LLP. "Everyone really embraced this opportunity, and the excitement has carried all of us into activities and places we may not have gone otherwise." More than 100 employees, as well as family and friends of the firm, participated in the planned activities held throughout the year. "Fifty years is an extraordinary accomplishment for our firm," says Carlton. "Our success and longevity are attributable to the values on which we were established, and continue to maintain, as well as our dedicated employees who strive to provide the highest quality of service to our clients each and every day."